Indoor Environmental Services of Dunkirk is an established cleaning business that has provided Calvert County, Southern Maryland and the D.C. Metro area quality service for years. Below are some of the wonderful things that our customers have to say about us. “Our office has been doing business with Indoor Environmental Services, Inc. since July 1997, with Mr. Bob Taylor and now Mr. Daniel Watt. Our office manages many Residential and Commercial properties, which we choose to use Indoor Environmental Services, Inc. We use Indoor Environmental Services, Inc. because of the service they provide and have always provided over the years. Since that time we have always been very happy and completely satisfied with the quality of service provided. Indoor Environmental Services, Inc. has always guaranteed their work. We have tried several services to see if there is any comparison and it is not even close. Mary C Tallant – Howlin Realty Management, Inc. I just wanted to take a few moments to address my appreciation for a job well done, not once, but twice within the year. I don’t usually do this, but I feel that you need to know how fortunate the Southern Maryland area is to have your services. Over my nearly twenty-three years in my present home, I have hired numerous companies to clean my carpets, and have always had to move on to another company because of some dissatisfaction with the service. Either the workers came late, didn’t show up at all, couldn’t come when it was convenient, or left my rugs so wet it would take two to three days to dry out. Consequently, my first conversation with you regarding services was masked in trepidation, wondering if I was in for more of the same. However, your first visit to the house quickly helped to break through my grave concerns. You are not only a true professional, but a good man as well. You never hesitated to explain how you would approach the cleaning of my carpet throughout the house, taking the time to explain the process and reasons behind your approach. While your prices are higher than other companies I’ve used, again it was easy to decide that you are worth the money. From start to finish, I have had absolutely no complaints: you return calls promptly, set up a time that works for the client, use excellent equipment, take great care with carpet and furniture, and educate your customer for better understanding of the process. You made every effort to get here quickly when I called after my run-in with mice, knowing how disgusted I felt about having had one of more mice running on and around my carpets and furniture. Certainly this is a business, and you’re in it to make money, but I’ve found on both occasions that you worked with me on cost as well. My only disappointment is that you won’t be able to follow me to my retirement home five hours from here in four years! You’ll be hard to follow. Mr. Watt, you’re a gentleman and a professional. Feel free to refer me to possible clients for recommendations if you ever need them. It would be my pleasure. The technicians are always on time, do a great job, very motivated, and also very trustworthy., and I consider their work exemplary. We opened a Regional Recruiting Center in Vienna, Virginia in 2004, and I don’t know what I would have done without their help. They went above the call of duty, not only to meet my opening schedule date, with their normal duties, but they also helped with removing materials for me that would not have been considered in their regular job duties. I could also leave the facility, and trust the staff to clean the Suite after hours, and return the key at the end of the project. – Facilities and Finance Representative. I’d like to take this opportunity to recognize you and your excellent team for the incredible work you performed at our home this January. Your first visit to inspect our wood flooring throughout the first floor of the home was very thorough. I learned a lot about the history of our floors andwhat I should and shouldn’t expect from the process we were contemplating if we chose your process. The follow up phone calls regarding the second opinion you were able to obtain regarding one of our touble areas was reassuring to me and also helped us understand what to really expect at the end of the job. Finally, on the date of the cleaning and coating, your team was professional, proficient and went above and beyond what was outlined at the beginning to produce a spectacular result. To say that I was happy with the results is an understatement, and I am very hard to please! In summary, the customer was kept in the loop at all times, expectations were clearly understood, and quality of the work exceeded what was promised. I’ll always recommend you highly. When are you coming back to do my rugs? It is my pleasure to give an excellent rating to Indoor Environmental Services. Our business has used them exclusively for our carpet cleaning needs as well as wood floor maintenance at our Dunkirk office. Dan Watt has always been conscientious with scheduling our cleaning as to not interfere with our normal business hours. He is very dedicated when doing the job, focusing in on especially soiled spots for special treatment. When the job is done, the carpeting is also almost dry! Dan’s dedication goes beyond the job, making sure to call back to see if all is satisfactory. I highly recommend Indoor Environmental Services for your carpet cleaning or wood floor maintenance. I wanted to take a moment to really thank you for the fantastic job your company did in cleaning the carpets in our home in Chesapeake Beach, Maryland. As you know, my husband and I are in the Military and we had to relocate to Cincinnati, OH and rent out our home. We drove down from Cincinnati on a Friday to inspect the house only to find that our tenants had left the house and carpets in deplorable condition. It was so upsetting to find that our home had been left in this manner. We immediately contacted a carpet replacement company to get an estimate because we could not fathom that they could be cleaned. There were juice box stains, ink pen stains, gum and just plain dirt ground into the carpets. The estimate to replace 2,400 sq. ft. of carpet with the cheapest carpet and pad was approximately $7,500.00. This was going to create a huge financial hardship for us. I remembered that my previous tenants had hired you to clean the carpet for them when they vacated and the carpets were in great shape. I contacted you on a Saturday and explained the situation and you immediately came over to meet with us. We really appreciated your immediately attention to our situation as we were leaving the next day to go back to Ohio. You were very thorough in explaining your equipment and cleaning methods vs. other fly by night companies. It also helped to know that your were certified by IICRC. Your were also very honest with what could be done and really tried to be realistic so as not to get our expectations up too high. You also stated that your would start with the two worst rooms (Living & Dining Room) and if your could get those cleaned, you would continue with the rest of the house. I had also gotten another estimate from Stanley Steamer for about half of what you were going to charge, but after questioning the type of equipment they used and their cleaning method, I felt that your company was the best option. As a result of that meeting, we scheduled the carpets to be cleaned the following Thursday. You and your crew arrived as scheduled. Ironically, even your crew member was skeptical that they could be cleaned. you called me a couple of hours later to say that you were able to get both rooms cleaned and you were going to continue with the rest of the house. Your also stated that you were able to get about 85% of the ink removed from the large stain in one of the bedrooms. You were so excited with the results that you even stated that your would have no problem renting our house and even rolling around on the carpets. When we came back down from Ohio the following weekend, the results were night and day. We could not believe our eyes. You even came back over the the house to meet with us and make sure that we were happy. I have to admit that originally I cringed at the $1200.00 price tag, but with the results you gave us, I would pay that again in a heart beat. It sure beat paying $7,500.00 for new carpets. As a result, of the amazing job you did, we were able to show the house the next day and get it rented that same day to a nice military family. Even our Real Estate Agent stated that after seeing the before and after results that he would be recommending you to all his clients. I also, have it in our Rental Lease, that IES must clean the carpets every 12 months. As a real estate broker, I have occasion to recommend lots of people to my clients. But of the one’s I do recommend, I expect the company will make the clients more than happy. This is the case with IES. If they cannot get a stain out of the carpeting, no one can! I have had my clients tell me that they believe they will have to get all new carpeting in the house and many times, I tell them to try IES first with a good cleaning and they will probably not have to spend the extra money on new! If IES feels that they cannot make the customer happy with the results or that it would be more economical for the customer to go another route, they will tell them the truth right up front. How refreshing in this day and age to know that you will be told the truth! This is a firm that I have recommended for many years and never been unhappy with their services. To read the original .docx document for this carpet cleaning review click here. We’d like to applaud you on the wonderful jobs you’ve done for us over the last several years, since meeting you through a referral in 2009. 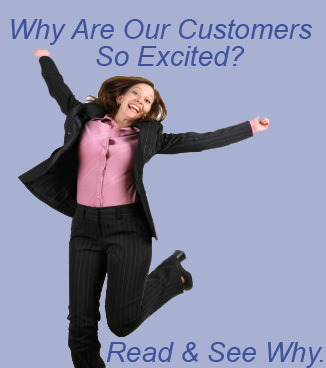 We felt very comfortable with your approach and pre-job explanations of what you would be doing for us in every area. Cleaning of the hardwood floors and carpets in our new home was perfect. We greatly appreciated your candid assessment of used carpeting in a condo we had for sale. You helped us make an informed decision and ultimately save money. The transformation of the carpeting back to new even impressed our sales agent. Your honesty and integrity are refreshing and very much appreciated. As you know, our dogs are very precious to us and knowing and experiencing that you use nothing that will be harmful to them is very comforting. Lastly, I’ll end with, in my wife’s eyes, your most crowning achievement. As you might remember, we, my wife especially, are very sensitive to smoke. After we brought a loveseat that was in a smoking room at another house into our house, my wife couldn’t stand to be in the same room with it. She called and discussed it with you and you researched and got back to her with your plan. You came and cleaned/deodorized the piece and it was as if it had never been exposed to smoke. My wife is still singing your praises. Again, we appreciate your approach, explanations, work ethic, integrity, and friendliness. We recommend you to anyone who is interested and look forward to working with you in the future, as well as seeing you around the neighborhood. I wanted to relay my continued satisfaction with Indoor Environmental Service for the cleaning of the banquet hall carpet, tile surfaces, VCT flooring and banquet hall chairs. Keeping each of these items clean and in the best condition they can be is important for our facility. flooring for years to come. To view the original pdf file for this carpet cleaning testimonial, please click here. When I retired from my full-time job in 2005, I became an Indoor Environmental Services part-time employee for approximately 4 years. Working with Danny and the crew, I saw the professionalism that was displayed on every job. Indoor Environmental Services is a top-notch cleaning company. Danny takes pride in his work and makes sure the customer is well satisfied with any job. We recently had room-sized rugs cleaned. We knew we could count on Danny to get the job done, and we were not disappointed. I would recommend Indoor Environmental Services for any type of cleaning job. reasonable cost. IES values customer satisfaction and they consistently exceed expectations. They are quick to respond and always stand behind their work whether it’s before, during or after service. To read the original pdf document for this carpet cleaning review click here.